Antoinette Scully is a Black feminist scholar, professional reader, editor, and project consultant living in Los Angeles, California. Black & Bookish started as a personal blog in 2016, and through a few transformations, relaunched in Fall of 2018 to provide various book editing and critique services, as well as bookish project consultations. She is a mother of two with a Masters in Teaching, two Bachelors degrees (one in Humanities and one in Philosophy) and is the co-founder of a local nonprofit. She also spends time speaking on social injustice and creating spaces for positive growth around racial justice issues. Raised in the historic all-black town of Eatonville, Florida, Antoinette never imagined she would become an editor. From an early age, she was surrounded by literature and text, both at home and in school. Although set down a path of academia, she never imaged reading to be a professional endeavor. Because of her birthplace, the shadow of Zora Neal Hurston hung over her like a warm blanket, as Hurston's existence did for the entire town. Antoinette would go on to do book reports, dress-up projects, and volunteer activities in the name of knowing more about the famous townsperson. Her grandparents were avid readers and her mother provided Antoinette with a steady stream of art's based culture through books, music lessons, dance classes, and social activities. Those passions followed her into adulthood where she has found solace in using her research background in a more personal way. When Black & Bookish launched in 20016, the goal was to create a living history database (both of the past and present) of Black culture. This could be done completely by studying Arts and Humanities created by people of the African Diaspora. She decided to focus on literature and challenged herself to read only books by Black authors for an entire year. What Made Me Go “All Black?” gives an in-depth overview of how she started this project. 3 Lessons I Learned In My First Year of Reading Only Black Authors is the first year in review. The content of the site has morphed and changed in the past two years but the focus has stayed the same. Antoinette soon took on reviewing books by self-published authors to show the large range of Black writers. This has become a major part of the site and a place to spotlight writing from all over the world. She attended local book events and in 2017 created some of her own. That was the year she also launched The Thomas House Project in Eatonville, a revitalization of the oldest structure in the town which will eventually be the site of the Black & Bookish Bookstore. In 2018 she partnered with My Two Cents Editing to provide editing services to all kinds of writers. She specializes in Sensitivity Reader projects for white writers looking to eliminate bias from their stories. She also provides manuscript evaluations, beta reader services, project consultations, and of course, book reviews. 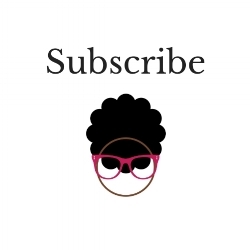 Have you signed up for Black & Bookish updates yet?